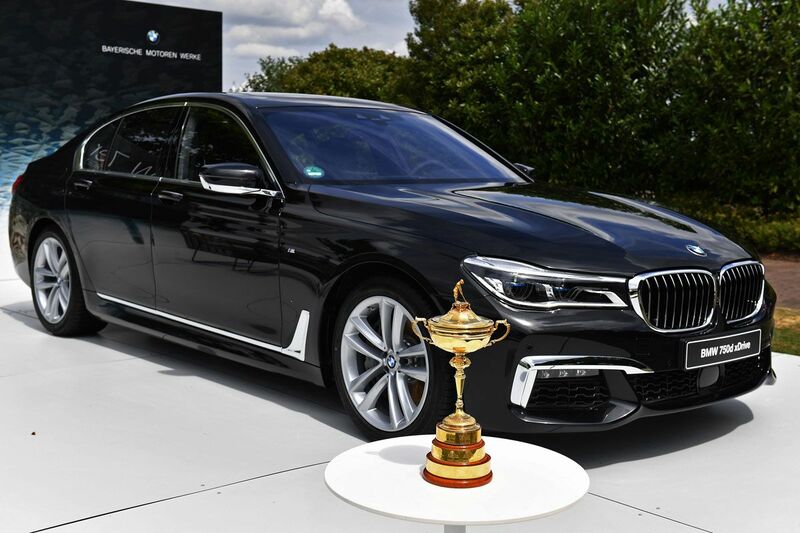 BMW further strengthened its commitment to the game of golf worldwide with the announcement that the company is to become the Worldwide Partner of The Ryder Cup for the matches between the United States and Europe at Whistling Straits in 2020 and in Rome in 2022. The premium car manufacturer has also announced the extension of the partnership with the European Tour until 2022 while continuing as the title sponsor of the prestigious BMW PGA Championship at Wentworth and the promoter of the BMW International Open in Munich. The BMW links with the Ryder Cup began in 2006 when it was the Official Car Partner at the K Club in Ireland. The company has since had a presence at each Ryder Cup match, both in Europe and the United States, and took a leading role as an Official Partner at Celtic Manor (Wales) in 2010, Gleneagles (Scotland) in 2014, and Le Golf National (France) this year. Now BMW is to extend its influence on both sides of the Atlantic. BMW has also reconfirmed its commitment to the European Tour until 2022 by renewing its status as an Official Partner and has guaranteed continued support for the BMW PGA Championship and the BMW International Open over the same period of time. In 2019, BMW also continues the title sponsorship of the BMW Championship in the United States. The revised PGA TOUR calendar sees the FedExCup Playoffs brought forward to August, with the BMW Championship to be played from 15th to 18th August next year. The venue for the penultimate Playoff tournament is “Course Three” at Medinah Country Club (Chicago) – the same course that provided the backdrop to the 2012 Ryder Cup and the “Miracle of Medinah”. The prestigious BMW PGA Championship is moving to autumn. The Wentworth Club, on the outskirts of London, will host “The Players’ Flagship” from 19th to 22nd September in 2019. The date for the BMW International Open remains unchanged; Golfclub München Eichenried will welcome the European Tour stars to the 31st staging of the iconic German tournament from 18th to 23rd June. The 2019 BMW Golfsport year will kick off with the World Final of the BMW Golf Cup International. The national winners of the world’s largest international tournament series for amateurs will be invited to Cabo San Lucas, a resort on the southern tip of Mexico’s Baja California peninsula, from 18th to 23rd March.